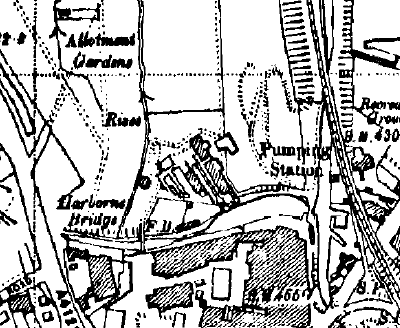 The "Battery Site" in Selly Oak lies to the west of the Worcester & Birmingham Canal just north of its crossing point with the Bristol Rd. 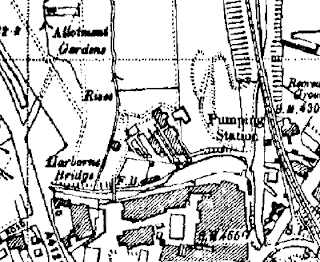 The site was formerly crossed by the Dudley No 2 Canal (known locally as the Lapal canal) which opened in 1798 and which became un-navigable following a tunnel collapse in 1917. Copyright Old Maps used with permission. The stub ends of the canal were decommissioned in 1953. The canal boasted a number of interesting waterways features. Making use of the two canals, the Birmingham Battery and Metal Co set up a factory on the site in 1871 - the "Battery" in the firm's title referring to a method of forming metal not to the manufacture of batteries. 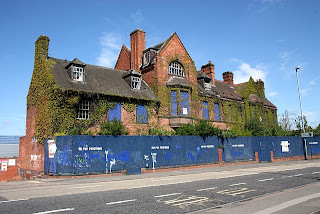 The company fell into difficulty in the latter half of the 20th century and parts of the site were demolished and used for landfill (some illegal). In 1990 the south west part of the was site developed as a retail park (known as Battery Retail Park). The factory offices survived into the 21st Century but were eventually pulled down. Birmingham Battery and Metal Co Offices, Selly Oak. 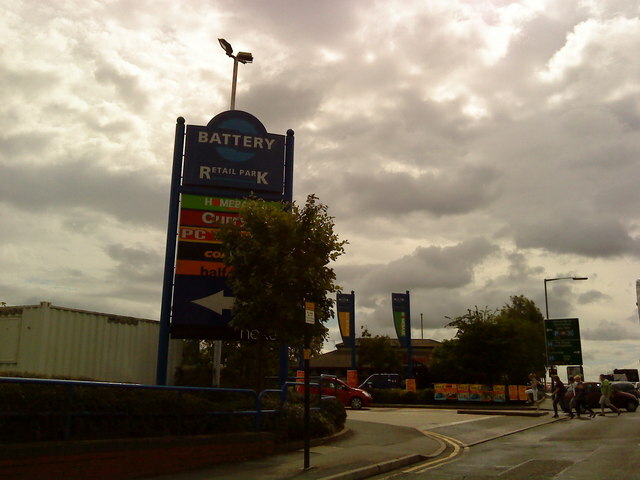 Entrance to Battery Retail Park, Selly Oak. The remainder of the Battery site not developed in 1990 was purchased by Sainbury's as a possible site for a new store. 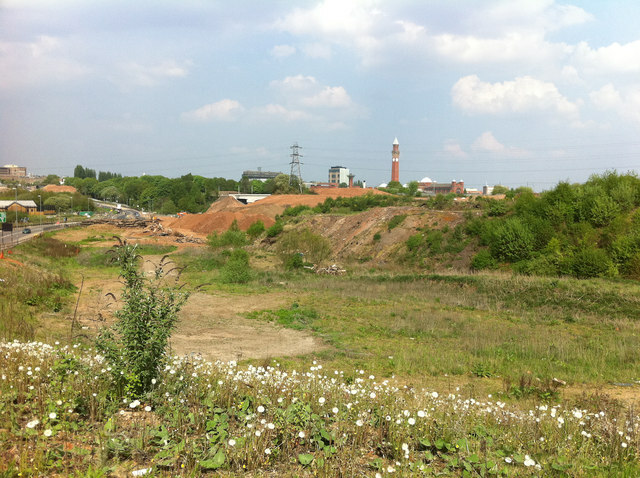 However, the toxic nature of the landfill (some of which is on fire underground), complex services (major gas and electricity mains cross the site), and a legal requirement to preserve the path of the Lapal Canal have so far hindered their development plans although a good plan for the site was given planning approval in 2007. 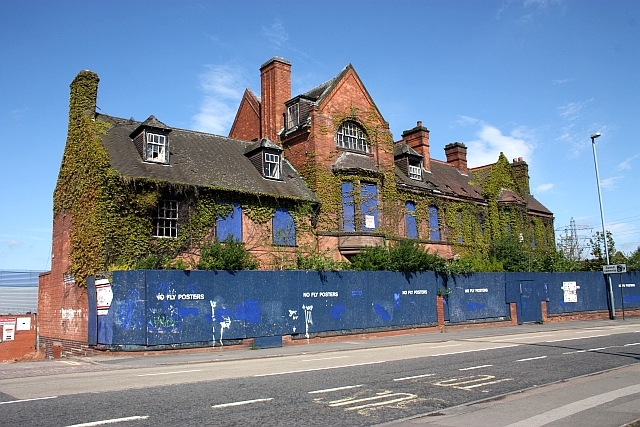 Click here for a brief history of the development plans. Undeveloped part of Battery Site. The hill in the middle distance is land fill.